Little's Baby potty trainer with smooth edges makes potty training easy. The specially designed bowl prevents leaks and spills. It is child friendly and features convenient design and smooth edges that are safe for your tiny tots. The anatomical seat is very comfortable, wide and has high back support along with splash guard. 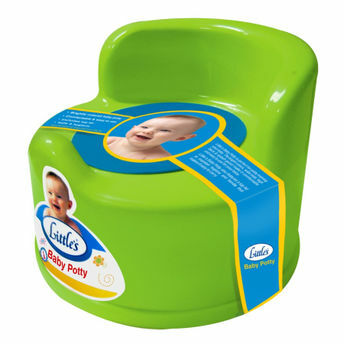 This baby potty seat comes with a top lid that helps in maintaining hygiene. Little's baby potty has a handle for easy carrying from one place to another. Little's baby potty seat is perfect for your little one's transition from diaper phase to toilet training.